Acne vulgaris (cystic acne or simply acne or pimples or zeet or comedones or blackheads or whiteheads) is a common human skin disease/ disorder, characterized by areas of skin with seborrhoea (scaly red skin), comedones (blackheads and whiteheads), papules (pinheads), nodules (large papules), pimples, and possibly severe scarring. Acne affects mostly skin with the densest population of sebaceous glands (oil glands); these areas include the face, the upper part of the chest, and the back. Severe acne is inflammatory, but acne can also manifest in non-inflammatory forms. The lesions are caused by changes in pilosebaceous units, skin structures consisting of the hair follicle and its associated sebaceous (oil) gland, changes that require hormonal androgen stimulation. Acne occurs most commonly during teenage, and often continues into adulthood. In the teenage years, acne is usually caused by an increase in the testosterone hormone, which accrues during puberty, regardless of the gender of the affected. For most people, acne diminishes over time and tends to disappear — or at the very least decreases — by the mid 20’s. There is, however, no way to predict how long it will take to disappear entirely, and some individuals will carry this condition well into their thirties, forties, and beyond. Some of the large nodules were previously called “cysts” and the term nodulocystic or cystic acne has been used to describe severe cases of inflammatory acne. The “cysts”, or boils that accompany cystic acne, can appear on the buttocks, groin, and armpit area, and anywhere else where sweat collects in hair follicles and perspiration ducts. Cystic acne affects deeper skin tissue than does common acne. Acne and acne scarring can cause severe psychological impacts including depression and severely reduced self esteem, even leading to suicide. Therefore, an early treatment of acne and acne scarring is necessary to prevent long term skin and psychological damage. From that perspective, a good cosmetic dermatologist treats the face, but actually causes healing of the mind! Acne scars are the result of inflammation within the dermis brought on by acne. The scar is created by the wound trying to heal itself resulting in too much collagen or alternatively too much fibrosis in one spot. Acne scars can be ice pick scars, Box car scars, Rolling scars or hypertrophic scars. 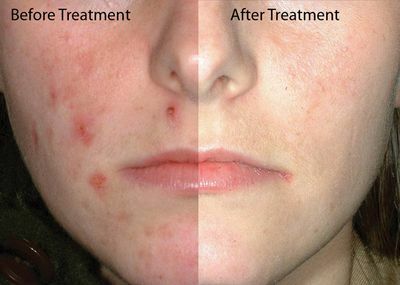 The treatment and initial management of acne vulgaris is medical. First line of treatment includes use of benzoyl peroxide creams. Benzoyl peroxide has been found to be nearly as effective as antibiotics with all concentrations being equally effective and the added advantage is that it does not cause bacterial antibiotic resistance. Commonly used antibiotics, either applied topically or taken orally, include erythromycin, clindamycin, and tetracyclines such as minocycline. In females, acne can be improved with hormonal treatments, like estrogen and progesterone combinations. Topical retinoid skin creams are medications that normalize the follicle cell life cycle. They are found to be useful in mild to moderate acne. If they do not act or are not as effective, oral retinoids such as Isotretinoin is very effective for severe acne as well as moderate acne that does not improve with other treatments. Once skin scarring from severe acne has set in, the treatment modalities used have involved techniques and procedures like dermabrasion, microdermabrasion and skin surgeries. None of these were particularly effective and most of these have the potential to cause severe skin damage, worse than even the acne scars they sought to treat! Laser skin resurfacing with the fractional carbon dioxide laser is truly revolutionary and can now safely be called the gold standard of all treatment for acne scars (best treatment for acne scar removal). In the earlier days, ablative lasers like CO2 laser were considered unsafe for pigmented skin (Skin Types Fitzpatrick IV through VI) viz: South American and South Asian skin (Skin of people from India). This was because ablative lasers go deeper to the epidermis and were thought to be risky in terms of the propensity to cause hyperpigmentation in pigmented skin. But, the author of this blog has now treated over 4000 patients in India with this technology (Carbon dioxide laser) and has seen amazing results in acne scars, with hardly any patients complaining of skin hyper-pigmentation. Clearly, the trick is not in the ‘gun’, but how to use the same! Within one to six sessions, laser skin resurfacing using fractionated carbon dioxide laser technology can even out the skin surface and increase new collagen formation to help fill in acne scars. Non-ablative lasers stimulate the production of collagen without damaging the skin’s surface, but non-ablative lasers are very slow and not very efficacious. Meanwhile, ablative lasers (i.e. CO2 and erbium-YAG laser) vaporize the scar, allowing smoother skin to take its place, quicker, faster and more predictably! Downtime is hardly a week and should be tolerable given that better looking skin is almost a guarantee. In summary, acne vulgaris is a treatable skin condition and medical treatment by a good cosmetic dermatologist and skin specialist doctor can control and reduce acne lesions. Acne scars are treatable too and can be reduced greatly/ removed, using the latest revolution of LASER (light) therapy – the Fractional Carbon Dioxide Laser Skin Resurfacing. Fractional CO2 laser treatment is very effective treatment in acne scars and is safe even in pigmented skin, as seen in India or in parts of South America. And, this carbon dioxide laser skin resurfacing treatment is safe, effective and the best treatment for acne scars on the face, acne scars on the back, acne scars on the chest and acne scars anywhere else on the body. The use of the carbon dioxide laser remains restricted in India however, with very few dermatologists being proficient / an expert in the use of the same. but, given the strength of the data coming out of our clinical trials, we expect more and more skin experts to start using the carbon dioxide laser in the treatment of the acne scars in India soon. Dr. Rinky Kapoor is a top/ Best dermatologist, Cosmetic Dermatologist, Laser Skin Expert Doctor, currently based in Mumbai, India. 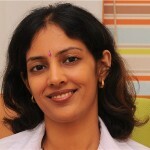 She has won many awards as the Best Dermatologist in India, Top 10 Skin Doctor in India, etc. 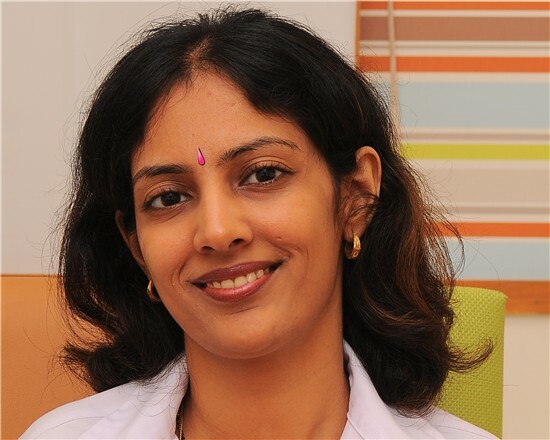 She specializes in all skin diseases & conditions and given her training as a dermato-surgeon, provides non surgical liposuction surgery, laser lipo & lipoplasty etc for weight reduction & cellulite reduction. Dr. Rinky Kapoor is trained at the iconic National Skin Centre, Singapore and completed her Fellowship in Cosmetic Dermatology & Lasers at the world renowned Stanford University, USA. and located that it is truly informative. I’m going to watch out for brussels. Very good post. I stumbled across your blog, hope said, I really love surfing around your blog posts. I had some smal small scars on my face.i want to remove 100% these scars.is it possible here.with these scars I dont contine my life.otherwise I want to die. it. You’re making it enjoyable and you continue to care for to keep it wise.